In addition to being common in general population (it is estimated that as many as 80% of US adults will experience a back problem at some point in their life – source: American Chiropractic Association ) back pain, and especially lower back pain, is also common in pregnancy. Most studies show that as much as 50% of all pregnant women will experience it. And one particular Swedish study even showed that 79% of pregnant woman (who participated in the study) were unable to continue their work due to an intense lower back pain. So what does this information tell us? Firstly, that back pain is very real and it will probably affect one in every two pregnant women. And secondly, it makes us wonder are we doing everything we can to predict and prevent it? In the following text we will discuss a study that showed just that – that we can predict future back pain during pregnancy! In most cases, back pain will start in the second half of the pregnancy. There are many different causes which may contribute to it, but it will appear mostly due to changes your body is going through. As the pregnancy progresses, the uterus will expand and actually shift your body`s center of gravity. This will stretch and weaken your abdominal muscles. As a result, your body will try to overcompensate, make some small adjustments to your posture and the way you move. This will put additional strain on your back and, often, result in pain. During a healthy pregnancy, woman will gain up to 35 pounds. This additional weight will put more stress on the spine and especially the lower back. Added weight means more work for your muscles and joints, so the pain in your back might intensify towards the end of the day. Fortunately, our body is smart enough to prepare itself for the process of giving birth. Crucial part of this process is the production of hormones which will loosen up the joints and ligaments that connect the pelvis to the spine. Naturally, loosening up these joints may cause some instability and lack of support for the spine and cause pain. Rectus abdominis muscles are a pair of long muscles stretching across the entire abdomen. They are commonly called abs and they are prominent in muscular individuals. The main function of these muscles is flexing the torso, but they also play an important role in stabilizing the back. As the pregnancy progresses, these muscles may separate and cause lack of stability in the back. This lack of stability may affect posture and cause back pain. Whatever the cause may be, tension in your back muscles can cause painful spasms, which can intensify during pregnancy. 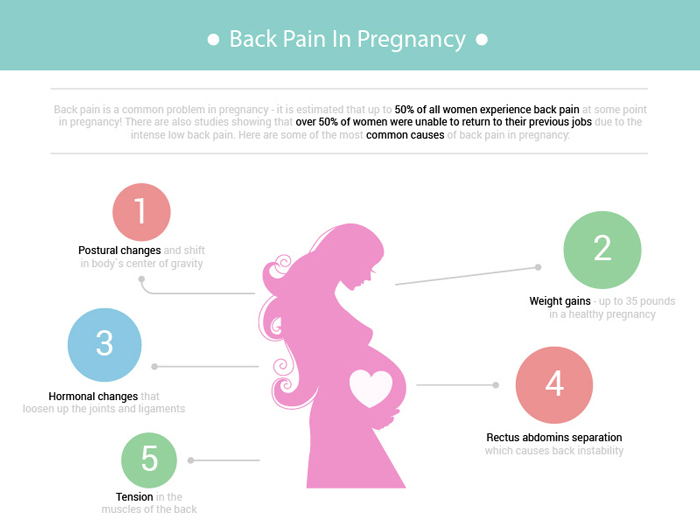 How Do You Predict Lower Back Pain In Later Pregnancy? Back to the study we mentioned at the beginning of the article. The official name of the study is “Functional changes in back muscle activity correlate with pain intensity and prediction of low back pain during pregnancy,” and if you are interested in reading it, here is a link to it – The Study. The reason we decided to discuss it, rather than just pointing people directly to it is that it can be a bit difficult to understand. After all, this is a medical study and it is written in medical jargon, so wrapping your head around it might require a lot of time and effort. It is important to note that the study included 32 pregnant woman with lower back pain, and a control group of 21 with no back problems. Women were examined at 20 and 36 weeks into pregnancy. Notice how muscle electrical activity drops in the second stage (in relaxation). 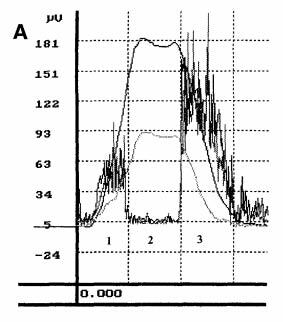 As you can see, the graph is also divided into three stages, but now we can spot an intriguing difference – in the second stage electric activity of the muscles does not drop, what this means is that the muscles are still tense, even in relaxation. This study showed, for the first time, that increased muscle activity in forward flexion (in relaxation) predicts and is related to lower back pain in the future. This simple EMG test is, typically, covered by health insurance and it should be used to identify those women with high risk of pregnancy-related lower back pain. Informing future mothers that they may suffer from lower back pain during their pregnancy should motivate them to engage in activities which could prevent it or, at least, make it more bearable. Almost everybody experiences neck pain from time to time, whether from sleeping in an awkward position or sitting hunched over for 10-20 minutes. But most of us ignore it simply because we know it`s only temporary and it will go away on its own. On the other hand, if and when you start experiencing this pain more and more often, or in longer duration, it is time to do something about it. Whatever you decide to do, please do not panic! Talk to your doctor and explain the symptoms to find out how to take care of it. Even though these two conditions may seem similar, there is a difference between them. A bulging disk in neck is a condition where the intervertebral disk extends of the space it usually occupies. This “bulge” will usually occur normally, as a part of the aging process. Herniated disk in the neck, on the other hand, is a condition where the outer ring of the disk is damaged and the cartilage pushes out. 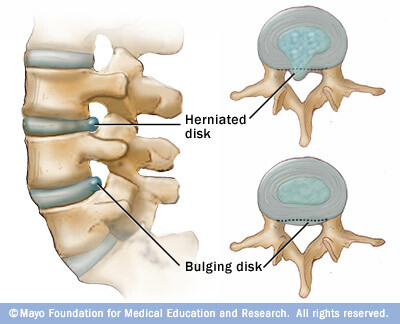 Bulging disk is generally more common but herniated disk in the neck is more often associated with pain. There are also cases where the condition exists, but no pain is present. The most common symptom of bulging disk in neck is pain, but this is the pain often experienced in shoulders or arms. Reason behind this referred pain is the pressure to the nerves that serve shoulders and arms which pass through the neck. Along with pain, patients will often experience tingling, burning sensation, or even numbness. Another symptom that can manifest is weakness in the upper body (hands and shoulders most commonly), which can impair your lifting capabilities or cause muscle strength disbalance between left and right side. Addressing the pain and medical conditions such as this one on your own is not a very good idea and I would not advise it. If you notice any of the above symptoms it would be a good idea to contact your doctor. Of course, if the pain comes and goes away on its own in couple minutes/hours there is no need to go see a doctor, but if the pain persists, or gets more intense, as the time goes by, you should seek medical help. Choosing the right sleeping position along with the correct mattress is one of the foundations of good spinal health. Just think about it, we spend almost a third of our life sleeping, and even though poor sleeping posture might not bother you now `cause you are young and healthy, but it can add up and cause problems later in life. So, if you are experiencing back problems or slipped disc in the neck, your best bet is getting a hard mattress along with some good neck support! It would be best if you used stretching and exercises as measures of preventing the pain even occurring. Note the word “prevention,” as I will not advise you to do any sort of exercises or stretches since I am not familiar with your condition and I do not want you to make it worse. I can only advise you to exercise when you start feeling better, so you can strengthen your muscles, loosen up the tension in your ligaments and tendons and prevent the pain from appearing in the first place. You need to remember that medication will only address the symptoms and make the condition more bearable by reducing pain; they will not cure you (in most cases). I am not against medication if the pain is unbearable, but I am advising you to dig a bit deeper (together with your doctor) and find out what is the real cause behind your pain and why did the bulge in the disk appear in the first place. In today’s article, we will be talking about proper muscular biomechanics, lateral pelvic tilt self-diagnosis, most common conditions leading to it and best exercises to correct it. 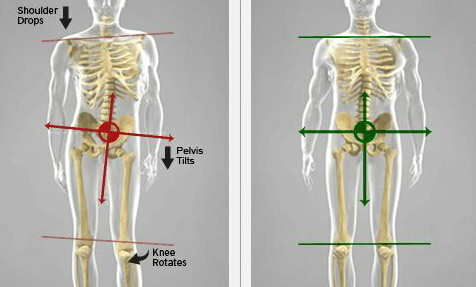 A proper relationship between muscular length and tension is one of the core foundations of proper body biomechanics. When this relationship is disrupted – when a muscle is tight and his antagonist (“a muscle that opposes the action of another” – Source:TheFreeDictionary) becomes weak – a postural abnormality may occur. As you might already know, our pelvis involves a number of different muscles which allow movement in all directions – anterior, posterior and lateral (front, back and to the side). If the relationship between any of these muscles is disrupted, it may lead to pelvic tilting, mild low back pain, or a more intense, piercing pain felt in the lower back and down the affected leg. Most of the time we recommend seeing your doctor for a correct diagnosis, but pelvic tilt is a condition you could easily diagnose yourself, at home. All you need is a mirror, a good set of eyes and knowing where your iliac crest is located. Once you’ve located the iliac crests on either side, facing the mirror stand as evenly as possible and try to determine if they appear level. So what is iliac crest and how do we find it? 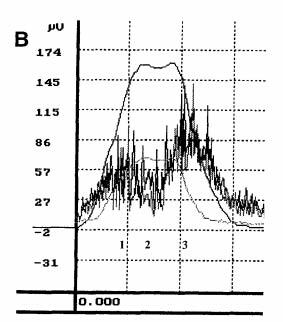 Lateral pelvic tilt can also be diagnosed indirectly in patients with spastic gait. A spastic gait is a condition where the foot becomes stiff, gluteus medius and tensor fasciae latae become weaken and the sufferer is forced to shift his entire trunk when swinging their leg forward. Moving like this will cause muscle imbalance and cause the pelvis to tilt. Why Lateral Pelvic Tilting Is Bad For You? Of course, we all know that pelvic tilting is bad since it will disrupt the muscle balance in our body, cause posture problems and lower back pain. But exactly happens to the muscles? When the hip is raised above its natural position (in hip hiking), quadratus lumborum muscle becomes tight. Quadratus lumborum is a muscle that connects vertebrae to the iliac crest, so when you think about it, it makes perfect sense that tension in this muscle will raise the hip. Now, to in order to compensate hip hiking, our body will create hip adduction (“adduction is a movement towards the mid-line of the body” – Source: IvyRose), so adductor muscles will become tight as well. Consequently, adductor muscle antagonists (abductors, namely gluteus medius), will become lengthened and possibly even weaker. On the other hand, when the hip drops, chances are quadratus lumborum muscle becomes weaker and lengthened and gluteus medius muscle becomes tight. This then leads to weakness in adductor muscles. Correcting the pelvic tilt may seem easy but the most important thing that needs to be done prior exercises is to pinpoint its exact cause (and access the damage that has already been done). This is the main reason we recommend first seeing your physician, then start devising a self-treatment plan. The majority of people will “catch” lateral pelvic tilt in its early stages, where correcting it will be relatively simple. Mild cases usually require only posture and walking mechanics correction. This is, of course, dead simple but dead effective; most of the time we don’t even pay attention to the way we walk and the way we position our spine when sitting or standing. So, what you need to be doing is practice standing in front of your mirror and trying to distribute your weight evenly across the both sides of your body, while keeping your pelvis in neutral position (correct dropping and hiking). Even the more severe cases should pay attention to their posture and walking mechanics… Unfortunately, their condition has progressed more, caused more damage, so these simple corrections are just not enough. These cases also require stretching and strengthening exercises. Just to freshen up, hip hiking is caused by tense quadratus lumborum, hip flexors, and hip adductors. So what we need to do is stretch QL, hip flexors, and lower back; and strengthen the hip abductors. Dropped hip is caused by weakened QL and hip flexors, where abductors are tight and adductors are weak as well. Here we need to strengthen hip flexor and adductor muscles while aiming for stretching abductors and tensor fasciae latae. Diaphragm pain may not be as common as some other health conditions but, in most cases, it can be very unpleasant and long-lasting. Looking at the most popular health forums, you can come across numerous cases of people complaining about pain in the thoracic diaphragm region lasting for months, sometimes even years! It is our desire to help these people (and you) understand your body better, learn more about the diaphragm and the best way to deal with pain in this region. 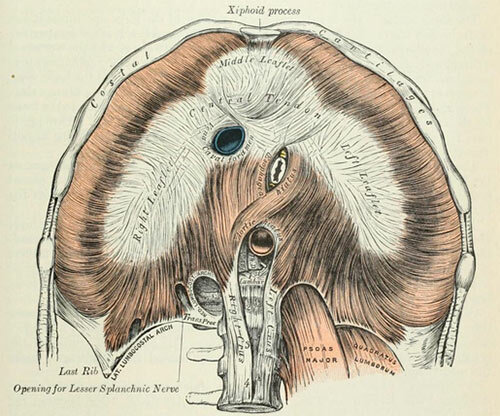 To avoid any confusion, I must point out that today we will be talking about thoracic diaphragm exclusively; there are other “diaphragms” in the human body (such as urogenital or pelvic) but we won`t be covering them in this article. 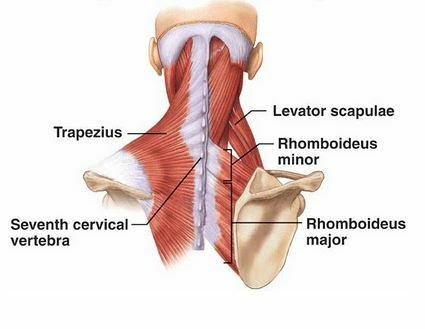 Thoracic diaphragm is a dome-shaped sheet of muscles which separates the the thoracic from the abdominal cavity 1. The thoracic cavity, or chest cavity, is a chamber enclosed by the ribs, sternum and spine, which contains major respiratory and circulatory organs (lungs and heart) 2; and the abdominal cavity is the space between abdominal muscles and the spine, containing a number of vital internal organs (stomach, liver, pancreas, intestines etc.) 3. Its name comes from Greek diaphragma meaning partition or a barrier, so it literally means the muscle that divides thorax from the abdomen 4. Lumbar – from the lumbar vertebrae by two pillars called crura. Diaphragm is the main respiratory muscle. When we inhale, it drops down and increases the volume of thoracic cavity, which creates suction that draws the air into our lungs. When we exhale, the diaphragm relaxes and recoils back to its original position, and the air is forced out. You have to be aware that diagnosing the exact cause of chest or upper abdomen pain yourself, is not something I would recommend. Usually, my first recommendation is to visit your doctor and see what is going on, but it is my duty and pleasure to help you educate yourself when it comes to your own body. There is some confusion when it comes to diaphragm pain and breathing. If you experience pain on a full inhale, it is more likely caused by problems with transversus abdominis muscle (muscles on the side of the abdominal wall); and if you feel pain on a full exhale, it is likely related to the diaphragm 6. Pain can also be felt when coughing or sneezing. Shortness of breath may also indicate problems with diaphragm. Patients with diaphragm spasm usually complain about pain in the area below the sternum and just below the ribs on either side of the abdomen 7. They may also complain of chest pain, shortness of breath and inability to get a full breath. Pain release requires diaphragm stretching which occurs at the end of a forced exhalation. Forced exhalation may be accomplished by using the power of the abdominal muscles, hand pressure on the abdomen or bending the body forward as you exhale. Most corrective measures involve changes in posture and breathing exercises. It is important to note that there were cases where the diaphragm went into spasm due to an intense emotional stress. Once the stress was gone, so was the spasm. Intense, vigorous exercise without warm-up can cause pain on the side of the thorax, around the lower border of the rib cage. This pain is usually relieved when person is resting and it intensifies by continuing exercising. And the best way to prevent this type of pain is to do a proper warm-up and stretching prior to exercise. Most common symptoms are chest pain, difficulty swallowing, coughing or frequent hiccups. Home treatment usually involves changes in the lifestyle: losing weight, improving posture, exercising or changing your diet. Surgery is rarely needed but it will bring relief in case of an emergency. Shortness of breath is normal in pregnancy and should not be a cause for concern. As the baby grows and the uterus expands, diaphragm may rise up to 1 1/2 inches and decrease your lung capacity 8. When this happens (better yet, before it happens), you should consult your doctor and ask for some exercises for improving your breathing and posture. However, if you start experiencing pain in this area, consult a medical professional. This is a more severe injury and it is usually associated with blunt trauma (in motor-vehicle accidents) where there is a tear . Not all accidents will cause thin injury though, frequency varies from 0.8-8% 9, and it may sometimes be overlooked. The injury will not heal on its own so the surgery is needed. 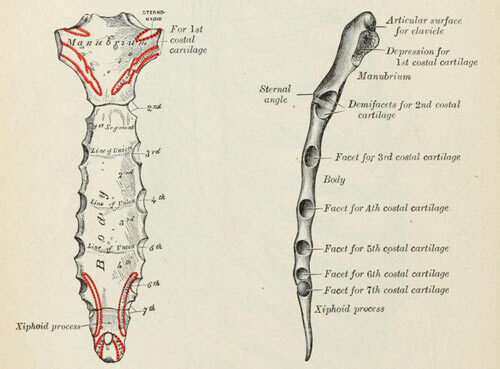 Image source: Gray H. Anatomy of the human body, page 405. (1999.) Travell & Simons, Myofacial Pain and Dysfunction, The Trigger Point Manual. Volume I, page 879. (1999.) Travell & Simons, Myofacial Pain and Dysfunction, The Trigger Point Manual. Volume I, page 864. The easiest way to describe strawberry legs is to think of them as dark spots on the skin, commonly caused by hair removal. These visible dark spots can appear on every skin type, but they are most noticeable on tanned skin and in women of color. Obviously, they are not harmful and aren’t linked to any health problems, but they may have a devastating visual effect; taking one quick glance at those prominent dark pores on your legs can ruin your confidence, mood or a date night! But don’t worry, we are here to help! Our goal is to help you get rid of strawberry legs fast, using natural, homemade remedies and recipes. Before we go on, though, you need to learn to distinguish strawberry legs from a common shaving rash. Pores usually get clogged due to bacteria, oil, or dead skin cells buildup (or a mix of the three). Another common cause are ingrown hairs, which are succeptible to irritation, inflammation and clogging. A shaving rash however, is just a short-lasting skin irritation caused by an aggressive shaving or a dull blade. We’ve referenced a hair follicle2 a number of times in the previous text but failed to give a proper explanation of this skin structure. A hair follicle is a sack from which hair grows (derived from a latin ford follis: bag). A sebaceous (oil) gland opens up into this sack and secretes oils which lubricate our skin. A healthy hair follicle produces about six inches (15cm) of hair growth per year. By far, the most common (and the most dangerous) cause of these dark spots on the skin is a condition called Folliculitis. How Do I Spot Folliculitis? A common early sign of this condition is small red bumps on the skin or, in some rare cases, white-headed pimples. These pimples and bumps are around the hair and, if not treated properly, might develop into scabs or itchy crust. Other, more severe symptoms are clusters of puss-filled of blisters, burning or tender skin, and large swollen bumps on the skin. The condition is not dangerous in itself, but you can make your life worse by scratching it. Excessive scratching will almost certainly lead to an infection, which may lead to permanent hair loss. You might think that a permanent hair loss might be a good thing (you won’t have to shave as much) but hair is connected to the touch receptors in our skin and may serve as a protective warning device. There are two main types of hair folliculitis: superficial and deep. Hot tub folliculitis – also called pseudomonas folliculitis, is caused by pseudomonas bacteria. This bacteria can be found in many places but is most common in hot tubs and pools where chlorine and pH leves are not properly regulated. Exposure to this bacteria causes round, itchy bumps. neck and in the bikini area. Pityrosporum folliculitis – this type is caused by a yeast infection and results in chronic, itchy pustules. Shaving is the most common cause of strawberry legs as it leads to ingrown hair. Most cut hairs will grow back through the skin once you cut them; while some may start developing underneath it. This occurrence is more common in individuals with thick hair, as opposed to ones with thin, fine hair. This is when the symptoms start to appear – itching, burning, swelling, and white bumps. 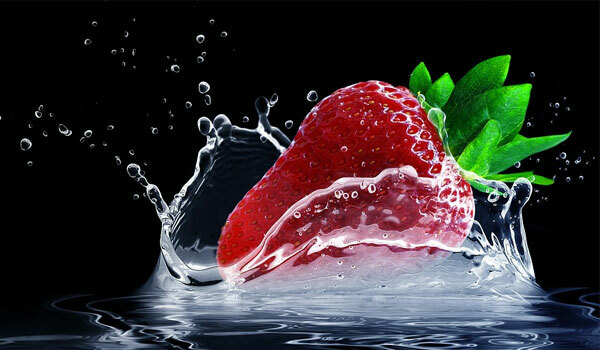 In some cases, the skin around the follicle may become slightly darker, leading to strawberry skin appearance. Properly moisturized skin is a healthy skin. What happens in dry summer months (as well as those cold, windy ones) is that your skin dries out. Dried out skin loses its ability to shed dead cells effectively, so they start building up. This buildup will, in turn, hinder skin shedding even more and cause even more significant problems(might also lead to an infection). The solution? Using a proper moisturizer will usually do the trick. Our age-old archnemesis – acne! Acne is so common and widespread that most of us had them at least at some point in their lives(some still do). Acne commonly occurs in puberty as this is the time when oil production kicks into high gear. Though they are not dangerous, they can leave nasty scars… on your skin as well as on your self-esteem. Oil glands are to blame here as they will clog your pores and cause dead skin cells and dirt buildup. Though the pores are clogged, they remain opened, come in contact with air and oxidize, which results in hyperpigmentation(darker skin). Finally, we get to the section you’ve all been waiting for – how to get rid of these dark spots! The crucial thing to remember here is clearing up your pores. So, in the following paragraphs, we’ll be covering some of the most effective ways you can unclog your pores, keep your skin clean and get rid of strawberry legs. Baking soda is one of the best, low-cost scrubbing agents you can use since it will soften the sebum, open up your pores, scrub the debris, but do it gently. It won’t damage or irritate your skin but will do a proper job of cleaning it! Cucumber is a fantastic moisturizer, so it won’t dry your skin as you exfoliate. Natural vegetable oils found in it will also lighten your skin and detoxify and improve your complexion. In addition to drinking green tea, you can reap its benefits by applying it to the skin. Studies have shown that it protects the skin from harmful effects of the sun, acts as antioxidant and even has anti-inflammatory properties. Of course, you don’t need me to tell you that using an epilator is painful, lasts longer, and may cause skin irritation initially. If we compare it to shaving, it doesn’t stand a chance! Or does it? Though shaving is quicker and less painful, it comes with a few noticeable drawbacks – the hair grows back faster and thicker, leave you with a stubby look, the possibility of cutting yourself and, of course, causing ingrown hair and strawberry legs! Aloe vera is an amazing plant as it fights acne, cleanses your skin, has anti-inflammatory properties, and nourishes your skin. And as for lemon juice, it will scrub excess dirt and grime from your skin, exfoliate but also make your skin lighter. Lemon is rich in vitamin C and citric acid which may, over time, make your skin appear brighter. No, we didn’t switch to talking about headaches. Actually, salicylic acid, a derivative of acetylsalicylic acid (aspirin), has been used for centuries (dating as far back as 5th century BC) to remove excess skin oil and dead skin cell buildup. It will also clear up redness, swelling, repair your damaged hair follicles, and lessen the effects of a skin infection. Making a sea salt scrub is easy and simple, as long as you buy sea salt and coconut oil. All you need is one cup of sea salt and a half a cup of oil, and you are good to go. Mix if for a few minutes and rub it on your skin in circular motions. Make sure you buy fine sea salt as coarse salt is too abrasive. Both alpha and beta hydroxy acids are used in skincare industry to exfoliate the skin. The only difference between the two is that AHA is water soluble while BHA is only soluble in oils. Though they are becoming increasingly popular, no definitive scientific studies are proving their effectiveness. When it comes to strawberry legs (as with many other skin conditions), it is better to work on preventing it then addressing it after it has already happened. Since the main reason, you get ingrown hairs, stubs, and strawberry legs is shaving, we are going to offer you some tips to make it as smooth as possible. Clean – many bacteria can reside on the razor without you even knowing it. A single use can result in whole colonies of bacteria, so using a disposable razor is a sound option. Before you even start shaving, you should try exfoliating your legs, keeping the skin on your legs clean and healthy will ensure a smoother shave. And after you are done shaving, you should try washing your legs in cold water, without soap(as it may irritate the skin). After you pat your legs dry, apply some gentle aftershave and put on something cozy until your skin goes back to normal.